The morning after, it was still like the strike of thunder; like a bad dream. The death of Chief Taiwo Joseph Ogunjobi, former international defender, former Secretary General of then NFA, former NFF Board Member and Chairman of Osun State Football Association remained a huge shock. 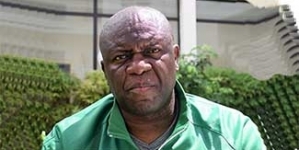 First Vice President of the Nigeria Football Federation, Seyi Akinwunmi, said: “It has taken me 24 hours to truly accept the reality of Chief Taiwo Ogunjobi’s passage. True, it was confirmed to me by many who should know, all through yesterday (Monday, 11th February 2019) including Tunde Shamsudeen (his sort of adopted son) and Ade Somefun (close friend and brother). In a chat with thenff.com, Akinwunmi, who is also Chairman of the Western Nigeria Football Forum of which the late Chief Ogunjobi was a strong pillar, added: “He was a humble, charismatic and humorous personality. 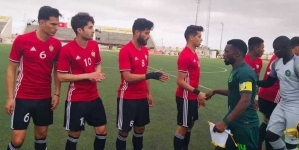 For someone who had seen it all, from being a former international and hugely successful club player and administrator, to being the Chief Operating Officer of the NFF and later as Member of the Board, he was down-to-earth. Akinwunmi said he saw in Chief Ogunjobi, who was also a Member of the NFF Reforms Committee of which Akinwunmi is chairman, a commitment and passion for success capable of infecting and impacting anyone close to the former defender and administrator of repute. Ogunjobi, who captained then IICC Shooting Stars FC (now 3SC) to the final of then African Champions’ Cup (now CAF Champions League) in 1984, was Sole Administrator of the same club when it again reached the final 12 years later. He also left huge footprints at Gabros FC and Julius Berger FC, before he was appointed Secretary General of then NFA in February 2002. He worked with Brigadier General Dominic Oneya’s board, and also with Alhaji Ibrahim Galadima’s board, before leaving the post in 2005. 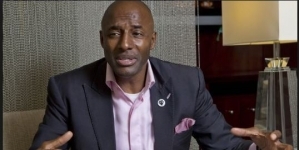 The following year, he was elected Chairman of Chairmen of Nigerian Football, earning a seat on the Executive Committee led by Alhaji Sani Lulu Abdullahi, and was Chairman of Technical and Development Committee in a period that Nigeria qualified for and participated in every competition it registered for. During the Lulu presidency (2006-2010), and with Ogunjobi as Chairman of Technical and Development Committee, Nigeria won the FIFA U17 World Cup (2007), won the Women Africa Cup of Nations (2006), won the silver medals at the Men’s Olympic Football Tournament (Beijing 2008), won the silver medals at another FIFA U17 World Cup (Nigeria 2009), won the African Beach Soccer Cup of Nations twice (2007 and 2009) and played at the first –ever FIFA World Cup finals held on African soil (South Africa 2010). The Nigeria Football Federation has opened a condolence register for its deceased former Chief Operating Officer at its secretariat in Abuja.